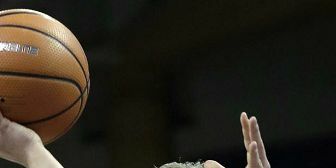 PULLMAN, Wash. (AP) — Borislava Hristova scored 37 points, Chanelle Molina added 28 and blocked a potential game-winning shot at the buzzer and Washington State ended a seven-game losing streak with a 90-88 win over Arizona on Saturday. Molina opened the fourth quarter with a layup and Hristova followed with a fast break bucket and the Cougars (8-16, 3-10 Pac-12 Conference) had the big lead of the game at 69-58. The Wildcats (15-8, 5-7) answered with a 10-2 run and the game remained tight to the end. Aari McDonald scored nine of her 26 points in the final two minutes but Molina got a hand on her shot at the end to give the Cougars the win. Hristova made 14 of 19 shots and grabbed six rebounds. Molina was 11 of 16 with four 3-pointers and nine assists, enough to move her into the top 10 for a single season with 126. The Cougars shot 57 percent, going 8 of 18 from 3-point range. McDonald had six rebounds and six assists. Cate Reese had 19 points, Sam Thomas 16 and Lucia Alonso 14 for the Wildcats, who went 9 of 15 behind the arc and shot 64 percent overall. Alonso was 4 of 5 from distance, giving her 100 makes from distance in her career.